Did you know that the visitors to your site can be broken down into 3 types of navigator? When designing a website and especially a homepage you need to take into account the 3 different preferences people have when browsing online. 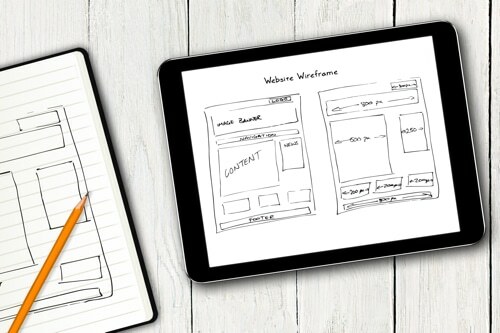 Website designers and therefore website designs tend to consider visitors as one amorphous lump of online prospects, but in reality they respond very differently to the way your site is designed. Site searchers tend to be people who know what they want . They’ll type in the name of the product or service they’re looking for in your search box. Because they already know the name of the product or service they’re looking for, you’re going have problems if you’ve decided to give your products or services a unique name to be ‘different’. The reality is your products won’t be found. Not only that you’ll have just lost a visitor and the ‘bounce’ could affect your relevancy score for future search result rankings. So be conventional. Call your products and services by the name everyone knows them as. Tip: make sure the site search system you’re using is a good quality one – they’re not all the same. Some out of the box site search offerings are poor, either in terms of actually finding the products being searched for or displaying them in an easy to understand and engaging format. Most web designs are built around the assumption that every visitor is a tab navigator. It’s true that tab navigation on your website is very important. It gives visitors an instant understanding about what your website is about and the breadth of products or services your company offers – all without having to click a button. Mega drop down menus (those menus that show more options when you hover a mouse pointer over them) are another great invention that allows visitors to see more of your content. They can then decide whether to invest their time to progress further into your site without having to invest a mouse click. On the subject of mouse clicks you should consider each click a visitor has to make as a considered investment by them. They’re weighing up time spent towards the likelihood of finding the thing they’re looking for against a waste of time which they could have spent better elsewhere. So make the words you use to describe each navigational element (tab heading) meaningful and logical – don’t make the visitor think about what products or services are hidden behind each heading or they’re likely to leave. Tip: don’t hide website tab navigation behind the three bar hamburger menu icons on desktop or tablet – it’s ok on smartphone form factors (but even some pioneering designs are shunning it here too). Content navigators on the other hand are, as the name implies, content junkies. These visitors prefer to interact with the content of a page rather than the dedicated navigational elements like the navigation tabs or site search box. Unfortunately most homepages don’t have a structure which even closely resembles the layout of the various categories of products or services on offer by the site. It’s usually just a massive promotional image with a random collection of ‘products in focus’, often driven by the demands of the various product managers within the business. So what? It’s not that important is it? You may be surprised to learn than on average more than 50% of your visitors to your homepage will want use the content to navigate rather than either site search or tab navigation. It’s not surprising really when you consider that only around 30% of your total page visits will be to the homepage – the vast majority will be interacting with your product and category pages and… you guessed it they’ll be predominantly interacting with the content on those pages and not the tab navigation. Unless you’re a household name spending £100,000’s a month on advertising your visitors will not know the range of products or services your sell, and they won’t spend long looking through every navigation tab to get a feeling for what you sell either.